Finally got round to making the kids aprons only to have them nabbed by my own kids!! 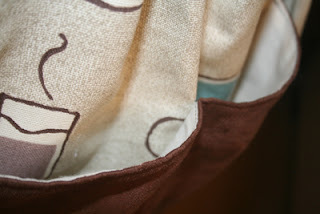 Have made more though so they are being uploaded to the site tonight - they're fully lined with a double pocket across the bottom of the apron. 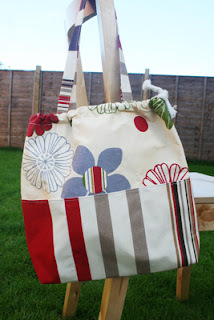 I will be making more but not necessarily in this fabric as i have some funky wipe clean fabrics to use too!! I only have enough fabric for 2 more in this fabric right now until i can get to the suppliers for more. We have a blog!! 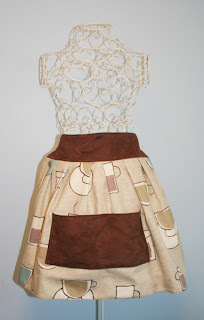 Welcome to the Oliviagrace designs blog - be the first to preview snippits of the new items to go into the store. Here we will try out new ideas, gain feedback and take on board requests for new items. As well as that we will give you will get to see prototypes of new items heading for the store - your imput will count! 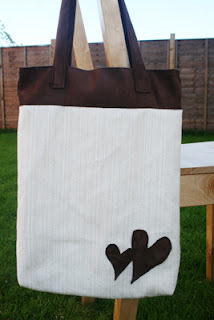 a delicious ultrasoft cord tote with chocolate mock suede detail! the ultimate duffle bag with external pockets all round the bag - plenty of space! We are now working on some baby accessories including burpee cloths, changing mats and bags and snuggly baby blankies!